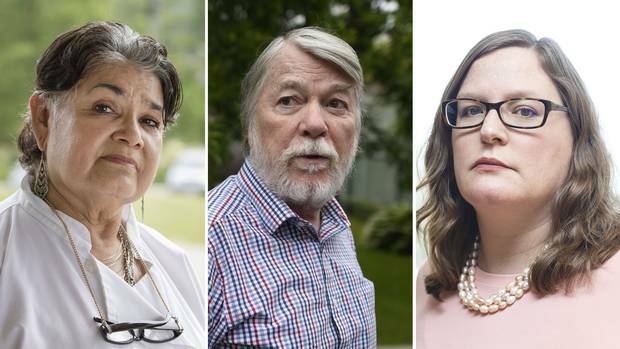 Rosalia Guthrie, Paul Dutton and Carolyn Carpan have each felt the pressure to pay costly extra fees for medical care. The Globe spoke with them as part of its investigation of private clinics. Rosalia Guthrie is still astounded that it cost her $4,350 to get her shoulder injury assessed by a surgeon who works in Canada's public health-care system. She had been waiting in agony for 16 months to see Dr. William Regan when she called his office, asking how much longer it would be. His secretary gave her the number of another clinic to call – so she did. That's when Ms. Guthrie learned there was another way in to see the surgeon – with no lineup. But it would cost her. "The woman there called me back … and gave me three [appointment] times … right away," says Ms. Guthrie, 67, of Salmon Arm, B.C., who was told that she had reached Dr. Regan's other, private clinic. "Then she said, 'You have to pay.'" 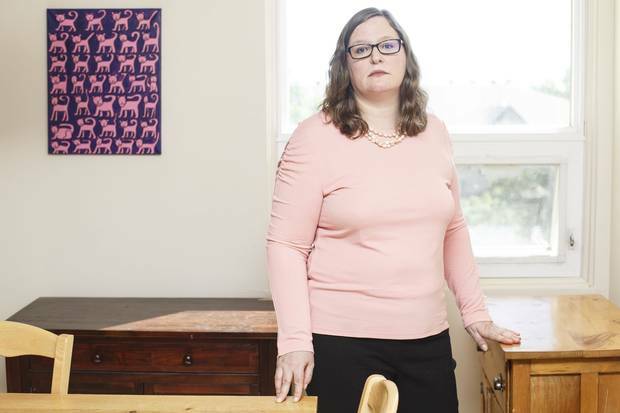 Ms. Guthrie is among 47 patients whose cases The Globe and Mail looked at as part of an investigation into the extent of unlawful extra-billing by Canadian doctors, who work on both sides of the health-care fence, in public facilities and private clinics. In theory, doctors who bill the public health-care system aren't allowed to charge patients a cent to get necessary medical treatment. It's illegal. If they do, Ottawa and the provinces are supposed to stop them. The Globe found the reality to be quite different. As health-care costs and wait lists grow, regulators are doing little to stop doctor-owned clinics from quietly and increasingly making patients pay for quicker access – for everything from appointments to surgery. Patients and doctors on all sides of the health-care debate agree on one thing: This is happening in part because the system is in what many call a "mess," where some people suffering in pain aren't seen and treated quickly in public facilities. Enter the private clinics, whose numbers have crept up in the last decade or so. The Globe compiled data on 71 of them, across the country, almost all owned by physicians. Those clinics sell what some call "private options," for which most of them charge patients hundreds, even thousands, of dollars. The data show that at least 63 per cent of 699 doctors listed as owning or working at those 71 private-pay facilities also work in the public system – an indication the rules against extra-billing are widely ignored. Patient records, court filings and government audits suggest that conflicts of interest by doctors (directing patients to clinics where they themselves have a stake in the profits) and double-dipping (billing both their patient and the government for different aspects of the same treatment) are routine. The situation is particularly acute in B.C., where there are now dozens of private medical facilities. Because extra-billing is not supposed to be allowed, the prices that clinics charge for various services are unadvertised, unregulated, and all over the map. Not only is the government not reining in those private fees, but, in contrast to the situation in the U.S., insurance companies aren't allowed to step in to negotiate and cover the costs, either. Canadian patients are barred from buying private insurance to cover necessary medical services, except in Quebec, where the law allows it for minor treatments. Patients interviewed by The Globe said they simply paid the asking price, without question – not necessarily because they had the money, but because they were desperate to get treatment. Some even took out bank loans – not unlike some Americans who have no health insurance. Below, you’ll find the full database of the clinics The Globe and Mail investigated. Browse through by clinic type, cost and location. 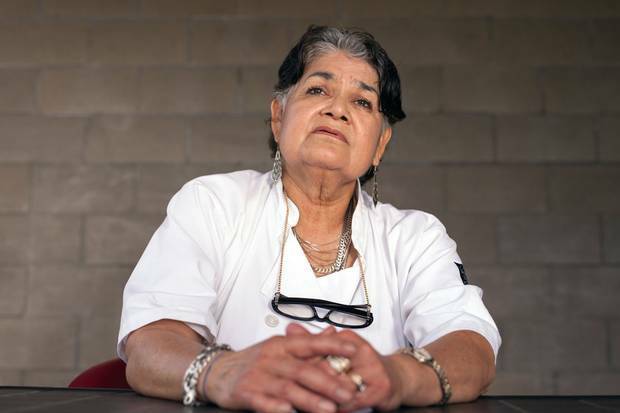 It was a decade ago that Rosalia Guthrie, a taco-stand vendor, hurt her shoulder falling on icy stairs outside her dentist's office. She suffered in terrible pain for years afterward, she says, and could barely run her business. Her family doctor referred her to Dr. Regan, a top-notch orthopedic surgeon at the University of British Columbia, for a consultation that should have been covered by the province. Then, she waited. And waited some more. Finally, unable to stand the pain, she made the call to Dr. Regan's office, which led to that second call, and a price tag: $500, up front, if she wanted to see the doctor – much sooner – at his private clinic. Recalls Ms. Guthrie, "I said, 'Can I phone you back? I have to find $500.'" The rules of the B.C. College of Physicians and Surgeons dictate that doctors should never refer someone to a clinic in which they have a financial interest, unless they disclose that conflict up front. Dr. Regan is, in fact, a minor shareholder at the private Specialist Referral Clinic to which Ms. Guthrie was referred. She says she wasn't told that when his secretary directed her there. "He was a surgeon. That is not what I expected," she says. "People are waiting and waiting, and they are told Dr. Regan is very busy … meanwhile this doctor is working in his private clinic. I guess he treats the people differently who are willing to pay." And that $500 initial fee was just the beginning: The clinic later billed $3,850 to Ms. Guthrie's account for an eight-page report Dr. Regan wrote about her injuries, based on the same appointment. Her lawyer requested the report, because Ms. Guthrie needed it for a lawsuit she had launched over her slip and fall. She says that extra charge was a big shock: "My husband is retired. I wouldn't have to work so hard if I had that money." Provincial rules forbid doctors from billing for such reports – which aren't covered by the province – while also advising patients on publicly insured medical treatment. After she paid to see him, Dr. Regan operated on Ms. Guthrie in the public hospital at UBC, for no charge. Paying for a quicker consultation allowed her to jump the queue, ahead of those still waiting to see him. The provincial health plan paid Dr. Regan $401.67 for the surgery – one-tenth of what it cost Ms. Guthrie just to get assessed in his private clinic. Dr. Regan declined our request for an interview. But in a follow-up e-mail, he insisted that his financial stake in the clinic, and the fees charged, were not an issue. He added that "there is much that the public does not understand and much that needs to be addressed" about "the very significant (and worsening) resource constraints on our public health-care system." Physicians are divided into two camps over charging patients for medical treatment. Some, like Dr. Regan, defend it as a necessary evil, to give Canadians another option besides suffering on long wait lists in a dysfunctional system. Others believe private clinics are increasingly to blame for wait times, because the doctors' time and attention is taken away from the publicly funded system, where they could be fighting for improvements. Rosalia Guthrie of Salmon Arm, B.C., suffered for years from severe pain caused by a shoulder injury. But after a long wait to see a Vancouver surgeon, she discovered that she could get in the door immediately – for $500. She forked over the money, which she could ill afford. The result: She was able to jump the queue at a public hospital, where the same surgeon performed her operation. She was also charged another $3,850 for him to write a report on her injuries. The Globe also discovered that, when patients turn to private clinics, they pay significantly higher prices than does the government when it hires those same facilities to provide the same types of treatments. For example, billing records for 16 surgeries, including knee replacements and a hernia repair, done at the private Cambie Surgery Centre in Vancouver, show that patients were charged as much as $17,000 each for their procedures. By contrast, health authorities pay somewhere between $1,500 and $7,600 for the publicly funded surgeries that they sometimes contract out to those clinics; the provincial agency WorkSafeBC, meanwhile, pays clinics a maximum of $5,000 per surgery for workers injured on the job. Across B.C., statistics show that fully 42 per cent of private clinics' clients were billed privately last year. Clinic owners acknowledge that those patients subsidize other patients whose procedures are covered, at lower rates, by government agencies. But they are unapologetic: They say their businesses simply wouldn't survive on publicly funded cases alone. "We factored in all the cost and a reasonable profit margin and that is what we charge the private patients," says surgeon Ross Outerbridge. The founder of the Kamloops Surgical Centre says the problem isn't that clinics bill some patients privately – but that there are no constraints on what they can charge. "I know that at other clinics, they overcharge," says Dr. Outerbridge. " I don't personally agree with that – but it is very difficult, because nothing is being done about it." The problem is hardly confined to Canada's West Coast. A national survey conducted by the Ontario Health Coalition, a public health-care advocacy group, canvassed 136 private clinics over the last two years, and found that 71 of them sell speedier access to medical services that are supposed to be covered by provincial health plans. An additional 17 clinics in Quebec were selling access to magnetic resonance imaging tests – MRIs – which are not fully covered by the provincial government. The 71 clinics surveyed include 30 facilities in B.C., 14 in Quebec, 12 in Ontario and eight in Alberta, as well as a handful in Saskatchewan and Nova Scotia. Volunteers who called posing as would-be patients were quoted prices ranging from $575 to $995 for an MRI; from $3,600 to $10,000 for minor knee surgery; and from $1,000 to $5,000 for cataract surgery. Based on the data collected by the OHC, The Globe created its own database, which includes information on who owns those clinics and whether they ask patients to bring their provincial health card to their appointments, an indicator that doctors there may also be billing the government for some services. A significant number of business at such clinics also comes from "third parties" – employers, injury lawyers and others – paying on behalf of patients. That business is not considered illegal, because the client isn't billed directly. One clinic in Ontario told the coalition's canvasser that a patient could get to the front of the line if they simply found a business person willing to write a cheque to the clinic on her behalf. "If you have a friend or a business that is able to pay by corporate cheque, then the MRI can be done in two to three days' time," said the person who answered the phone at MedCentra in midtown Toronto. "Your friend would provide a corporate cheque certified or corporate credit card preauthorized." One high-priced example included in the survey is the Langley Surgical Centre, southeast of Vancouver. It quoted $350 for a faster consultation for knee surgery – double what the province pays doctors for surgical consults. It also said that its doctor could then do the surgery in hospital for no cost, or the patient could pay up to $10,000 to have it done more quickly at the clinic. Another is the Anderson Eye Clinic, which quoted a $950 "administrative fee" for fast-track cataract surgery. A representative there added that the surgeon would bill the province for the actual procedure. It's a quick, simple operation, for which the province pays a doctor $420. Neither clinic responded to requests by The Globe for comment. Both are owned by ophthalmologist Carolyn Anderson, among B.C. 's highest-paid specialists. Dr. Anderson billed taxpayers $1.4-million for her services last year, on top of her private earnings. Toronto writer and musician Paul Dutton complained to Ontario's College of Physicians and Surgeons when a gastroenterologist on staff with the University Health Network in Toronto told him that he could get a publicly covered colonoscopy faster at a private clinic – but only if he paid $495 to see a dietician first. "He acknowledged that I didn't need any nutritional consultation," recalls Mr. Dutton, "but said I could not have the procedure at the clinic without that." And it's not as if the watchdogs are necessarily guarding patients' interests. B.C. is the only province that the federal government has fined every year of the past five – approximately $1-million in total – for allowing extra-billing, in violation of the Canada Health Act. And that is a drop in the bucket compared to the tens of millions of dollars that flow through private-billing facilities each year. Ottawa gets its data from the provinces – on how much unlawful extra-billing it should penalize them for – so the provinces have a vested interest in minimizing those figures. "I'm sure lots of doctors double-bill. I know lots of people who do it," says Judy Pryce, an administrator who runs a private Vancouver clinic, which doesn't extra-bill, called ChangePain. "I think there's a good reason for it: because patients are asking for it. But it's against the law. The law needs to be changed – because it's not reality. And some other mechanism is needed to root out abuse … it's a huge mess." The Globe also looked at some cases where doctors had already been formally investigated for suspected extra-billing, and yet had experienced few or no repercussions. When Ms. Guthrie's family doctor found out that she had to pay to get medical care, Dr. Warren Bell complained to the B.C. College, calling her fee "a simple bribe." The investigation records show that the surgeon, Dr. Regan, didn't tell the College he owns shares in the clinic that his secretary directed Ms. Guthrie to – and the regulator apparently didn't ask – so the issue of his conflict of interest wasn't addressed. Extra-billing wasn't considered either. The reason? Rules against such billing are enforced by the government, not the regulator. In his response, Dr. Regan told the College that Ms. Guthrie chose to see him at the private clinic, all on her own, and that his secretary simply gives patients such as her "other options." The College accepted his explanation, saying the regulator "took note of the fact Ms. Guthrie had self-referred." The College did note that it was "troubled by the issue of a patient who had been seen in a non-insured private consultation being subsequently placed in the queue for insured surgery in the public hospital." However, it concluded that "no regulatory criticism is warranted." There is no mention of this case in Dr. Regan's public record, because it didn't result in discipline. When asked how concerned the College is about conflict of interest and extra-billing, spokesperson Susan Prins told The Globe, "Occasionally the College receives complaints alleging physicians are offering patients the opportunity to bypass wait lists … by paying privately. This would be considered unacceptable … but none has resulted in discipline." In Ontario, writer and musician Paul Dutton complained to that province's College of Physicians and Surgeons when he was told he would have to pay for a service that wasn't even part of his treatment. A gastroenterologist on staff with the University Health Network in Toronto told him that he could get a publicly covered colonoscopy faster, at a private clinic – but only if he paid $495 to see a dietician first. "He acknowledged that I didn't need any nutritional consultation, but said I could not have the procedure at the clinic without that," recalls Mr. Dutton. "He wanted to make money for the clinic. My appointment would be made by his secretary." Mr. Dutton chose to wait for an opening in the public system instead, and filed his complaint. "It was an obscenity," he says, "to tell someone they are getting something for free, but they have to pay for something else to get the free thing." Mr. Dutton gave The Globe a copy of the decision he got from the College, on the condition that the gastroenterologist not be named. The decision noted that, at first, the physician claimed he didn't own the private clinic and didn't get any portion of the $495 fee. He later admitted he was a shareholder. The College said it was "quite disturbed" by how the doctor had failed to reveal his conflict of interest, and said he would be "cautioned." The physician wasn't penalized, though, and there is no reference to this case on his public record. When asked how many doctors it disciplined recently for extra-billing, the Ontario College pointed to just one – ophthalmologist Andrew Taylor. He was caught, 14 years ago, billing 120 patients for premium laser surgery, while doing a cheaper procedure instead. The College eventually found him guilty of professional misconduct for overbilling, altering charts and lying to patients. It tried to revoke his licence – this year. However, he's appealing, and still practising. Ophthalmologists are often criticized for extra-billing, particularly in Ontario and Quebec. Brenda Seaton said she's still incensed about how her 90-year-old mother, Geraldine Henry, had to dig deep into her government pension in 2015 to pay $1,000 for basic cataract surgery, performed by Dr. Derek Lui, of Woodstock, Ont. "She was, at that point, at the beginning stages of Alzheimer's," says Ms. Seaton. Her mother had already had one eye operated on, and needed the other done quickly. "At her age and having unequal vision, you are blurry on one side." Ms. Seaton says they had been waiting six months for Dr. Lui to perform the surgery, when he told her he had run out of allotted O.R. time for the year. According to Ms. Seaton, he said that Ms. Henry could wait longer, or she could pay for him to do the surgery at a private clinic an hour away. "When we went," says Ms. Seaton, "there were at least 10 people [in the waiting room] that I recognized from his office." Dr. Lui confirmed to The Globe that Ms. Henry and other patients paid $1,000 each for the surgery, but he insists that the clinic kept all those fees – and that he received no financial benefit. "I am just using their facilities. I am not an employee. I don't have any shares in that clinic," said Dr. Lui, "… it makes no difference to me. I just bill OHIP." The Burlington Laser Eye Centre confirmed that it indeed charged Dr. Lui's patients. But it didn't explain how that was justified for surgery that is supposed to be fully covered by the Ontario Health Insurance Plan. "Mom got the same lenses she would have had if she got them done in the hospital," Ms. Seaton says. "I don't feel we had a choice but to pay." That sense of helplessness is not uncommon among those who dig into their bank accounts to pay for urgently needed procedures. Carolyn Carpan also felt she had no choice when her family doctor in Edmonton told her that her vertigo and headaches made him suspect she had had a stroke – but that she couldn't get a CT scan quickly unless she went to a private clinic. "He told me I would have to wait five months … and if I was willing to pay, I should do that," recalls Ms. Carpan, an academic librarian. She went straight to the private diagnostic clinic Medical Imaging Consultants, which she says charged her $800 – a price she could ill afford. "What does somebody who can't pay for that do? They wait – and they risk what could happen," she says. "It's ripping people off." A spokesman for the Alberta government said that it investigated only a handful of complaints about extra-billing in recent years, and found no wrongdoing. In Quebec, by contrast, it appears that the government is trying to stamp out extra-billing, albeit after much criticism. Over the course of the previous five years, government investigators found 1,132 cases of extra-billing. The roughly 1,000 doctors found responsible paid patients back – an average of $599 per case – but none were sanctioned. Early this year, legal threats from patients and a warning from Ottawa that the province would be fined led it to strengthen its laws against extra-billing. Even in Ontario, long considered tough on extra-billing, and where the government investigated 314 complaints in the last five years, none of the doctors involved was sanctioned. More than one-third were made to refund their patients, but were then able to bill the province for those treatments. Neither Ms. Carpan, in Alberta, nor Ms. Seaton, in Ontario, filed complaints. As was the case with many patients The Globe spoke to – several of whom did not want to be named – they expressed fears about rocking the boat. Ms. Seaton, for one, worried that talking about what had happened could make it harder for her mother to get good medical care in the future. "Patients are scared – that if I cause trouble I will never get looked at. We have a very powerful position," notes Duncan Etches, a physician with Canadian Doctors for Medicare, who believes there is no excuse for extra-billing. "If you are unethical, you can exploit that." When Carolyn Carpan complained of vertigo and headaches to her family doctor in Edmonton, he suspected she had had a stroke – but told her that she couldn't get a CT scan quickly without going to a private clinic. "He told me I would have to wait five months … and if I was willing to pay, I should do that," says Ms. Carpan, who was subsequently charged $800 for the scan. You're also on your own when it comes to the bill you may get stuck with. Nancy Cochrane was charged $5,250 by the Specialist Referral Clinic in Vancouver, for missing an appointment with neurosurgeon Shahid Gul, because she was too racked with pain to get there. "I had a spinal-cord injury," says Ms. Cochrane, who needed a medical assessment for a legal case – a service that is not covered by the province – following a car accident. The day of her appointment, she says, "I was in tears when I called [the clinic]." When the $5,250 was charged to her account for a "no show," Ms. Cochrane complained to the College, and sued in small-claims court. In the end, the clinic refunded $2,500, but kept the remaining $2,750, for an appointment that never happened. As for Dr. Gul, the College concluded that he wasn't to blame, because he was an independent contractor and had "denied any role in billing." "We encourage Dr. Gul to seek amendments that would afford him a degree of control over these matters," the College wrote. Ms. Cochrane offers a warning to other patients seeking medical help outside the public system: "People think they are going to get faster treatment – but what they don't know is, these clinics can charge whatever they want. They have their own payment system. They have their own rules of the game. And even the College won't touch them and don't ask me why." Dr. Gul declined to comment when contacted by The Globe. For its part, The Specialist Referral Clinic insisted that its fees are justified for the work the doctors do. Petar Glavacic also feels as if he paid a private clinic thousands of dollars for nothing. In his case, however, taxpayers, too, had to open their wallets. His family doctor was retiring and Mr. Glavacic felt he needed a full physical, so he paid $2,200 to the False Creek Healthcare Centre in Vancouver, for an "executive health assessment." He saw general physician Jan Venter, who referred him for a series of tests. Dr. Venter was supposed to send Mr. Glavacic what the clinic website calls a "detailed report" of his physical health. That was a year ago – and, so far, he's received nothing. 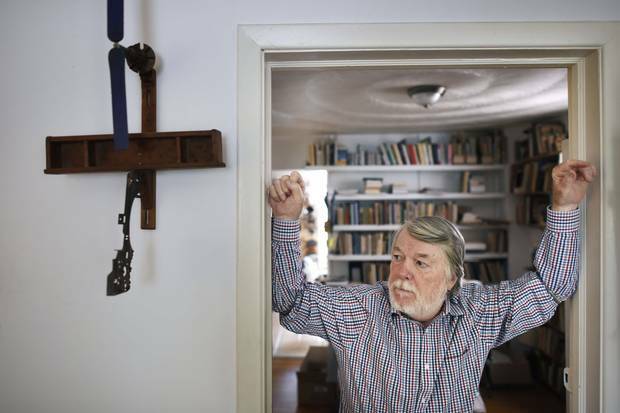 "I just felt like they got my money and that was it," says Mr. Glavacic. "I run my own business, and I would never treat someone like that." Provincial rules dictate that Mr. Glavacic should never have been charged at all, regardless of how his case turned out. Records show that the lab to which False Creek sends its patients billed the province $440 for the tests ordered by Dr. Venter. The rules say that, if and when a lab bills the public system, the doctor requesting the tests isn't allowed to charge the patient for any related visits or treatment. Both Dr. Venter and the clinic declined to comment when contacted by The Globe. Mr. Glavacic's case also highlights another potential problem with private clinics. Several family doctors say the facilities increasingly waste money on useless and possibly harmful tests. "I have had a couple of patients use those 'executive medical' services. What I see come back are reports of tests I either would have ordered as part of routine care … or I wouldn't have ordered," says Dr. Gary Bloch, who works at St. Michael's Hospital in Toronto. Even so, it's also undeniable that some patients feel the care provided by private clinics is well worth the extra cost. Jenn Abbott says she paid the American-owned Cleveland Clinic in Toronto $2,500 annually, for several years, for an "executive health program" that gave her access to ongoing tests and treatments. She believes that outlay saved her life, because doctors there detected her breast cancer before she could even get an appointment at the hospital. "I still believe everyone should have the same access to health care," says Ms. Abbott. "I think it's very unfortunate that I had to pay to have an earlier diagnosis." Whatever patients' experience, private clinics hold real appeal for some health providers. The most significant extra-billing cases that The Globe examined are from B.C., which critics call "ground zero" in the proliferation of private-pay health care in Canada. Some 700 doctors now perform surgeries in private clinics there. "Some people might be driven by the dollar figures," says orthopedic surgeon Victor Jando, who worked in a private clinic which has since gone out of business. He said he made twice as much per surgery as he did in the hospital. However, he believes most doctors are going private out of sheer frustration, noting "they don't have access to the services at the hospital. They may only have one O.R. day a week. That is typical," he says. As a result, they witness patients suffering in long lineups, with no alternative but to send them to a private clinic. There are hundreds of examples of extra-billing and double-dipping by B.C. 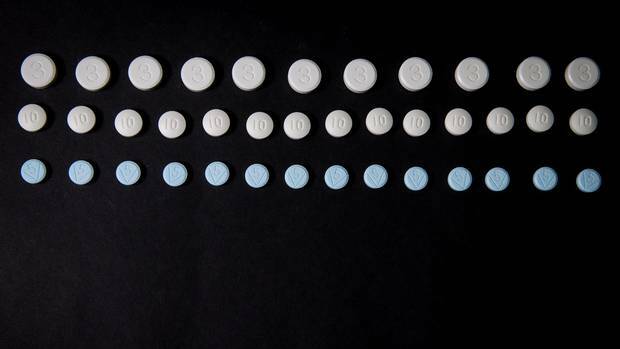 doctors in provincial audits obtained by The Globe, involving two large clinics and three individual doctors. One surgeon who was audited is Amin Javer, who works at the False Creek Healthcare Centre and is one of the top ear, nose and throat specialists in Canada. False Creek is one of B.C. 's largest private clinics, owned by Centric Health, a Canadian firm, with facilities across Canada, that earned $43.6-million in the first quarter of this year. Its CEO, David Cutler, told The Globe that the Vancouver clinic offers only uninsured treatments – such as plastic surgery – and so, the province isn't billed for anything done at the clinic. However, auditors reviewed a sample of Dr. Javer's cases over a five-year period – when he charged $4-million to the province – and found that he billed the public system for several follow-ups on medically necessary surgeries done at False Creek. The auditors flagged "his involvement with extra-billing." One patient from False Creek, who asked not to be named, told The Globe that Dr. Javer charged the province for several of his appointments, at False Creek and St. Paul's Hospital, on top of the $8,500 the clinic charged for his consultation and surgery. "That always has been a bone of contention. I thought about it later … he's getting paid from both sides of the fence and I don't think that's a really a good idea," the patient said, adding that the sinus operation he had was medically necessary. Dr. Javer told The Globe that he doesn't get nearly enough operating time at the public hospital and that his wait list is so long that he doesn't even take new referrals there any more. He added that his office now tells patients they can either pay the private clinic to see him – or go to another doctor. "I am not looking for business, believe me. The demand is so great. So, so, so great. And there are so few private clinics," says Dr. Javer, who says he invested $50,000 in False Creek initially, but is no longer a shareholder. "If it's a completely private case, then you pay False Creek. You pay them a facility fee – and the clinic pays me a consultation fee." Mariel Schooff was treated by Dr. Javer at the private clinic several years ago and says she was shocked to learn he was a shareholder there at the time. Her records show he billed the province $882.47 for her surgery, while False Creek charged her $6,125. "I didn't realize he could be double-dipping. I was just grateful to him for the operation," says Ms. Schooff, who is now 71. Ms. Schooff and her husband took out a $5,000 loan to pay for her sinus operation. Public-health-care advocacy groups later took up her case. As a result, she got a letter from the B.C. government telling her she was entitled to her money back, because Dr. Javer had already billed the province for her surgery. A lawyer wrote Dr. Javer, asking him to refund his patient, but he didn't reply. Last year, Dr. Javer billed the public system $697,567. He stressed that he no longer double-bills for surgeries done at the private clinic, but said he still charges the system for the follow-up appointments. The Specialist Referral Clinic, where taco-stand owner Ms. Guthrie paid for her surgical consultation with shareholder Dr. Regan, has also been audited. The province found significant extra-billing, so much so that it has since attempted to shut the clinic down – attempts that have been stymied by the clinic's lawyers. Shareholders there, who also own the Cambie Surgery Centre in Vancouver, are trying to justify extra-billing in a B.C. court challenge that has dragged on for almost a decade, with no end in sight. The clinics admit they are billing illegally, but they are challenging the laws that ban it, claiming they are unconstitutional. The court case has been widely publicized, but many people don't realize how it came about. The president of the two clinics, Dr. Brian Day, engaged the lawyers after the province told him that auditors were on their way. After years of legal delays, in 2012 the audit eventually uncovered 170 instances of extra-billing to patients "contrary to the Act," within a very small sample of 468 services over 10 years. It also flagged 93 instances of double-dipping, in which 19 doctors charged a total of $66,734 to the province, while the clinic charged patients or their representatives $424,232 for the same courses of treatment. At the time, the clinic told auditors that it "does not compensate" its physicians. It said that doctors bill the province, while patients are only charged "facility fees," for equipment and staff. Financial records later filed in court showed that wasn't true. Those records demonstrated that the clinic paid 140 people, mostly doctors, $1.5-million or more per year in "consulting fees," over five years. That included a total of $1.36-million paid to Dr. Day during that period. Dr. Regan – Ms. Guthrie's surgeon – was paid as much as $120,000 a year by Cambie, from 2008 to 2012, plus up to $10,000 in annual dividends. During the same period, Dr. Regan also charged B.C. taxpayers more than $250,000 a year. Dr. Day has since acknowledged that the clinic does pay its surgeons. Its position now – laid out in recent court statements – is that doctors have stopped billing the province for work they do there. However, one patient's records reviewed by The Globe show charges by surgeons – to the government – for treatments at Cambie, as recently as February of this year. The two doctors billed the province for exactly the same treatments the patient paid for. In the meantime, clinic lawyers convinced the judge to stop the province from shutting down the whole operation, pending the outcome of the constitutional court challenge, which is expected to take years. Whatever the outcome of that particular case, doctors and patients The Globe talked to – on both sides of the private-versus-public debate – all say that governments have let the situation slide for too long. "Patients can wait, so the system makes them wait, and right now – officially – they have no other option," says Kamloops Surgical Centre founder Dr. Outerbridge. "I just have to shake my head. This should have been dealt with long, long ago." "I think it's an abdication of the responsibility of government," says Dr. Etches, of Doctors for Medicare. "The private clinics are now deeply entrenched in the health-care system … and that lies at the feet of the politicians." Filter results by clinic type or location. Healthcards may be requested for patient identification or billing purposes. Kathy Tomlinson is a member of The Globe and Mail's investigative team, based in Vancouver. 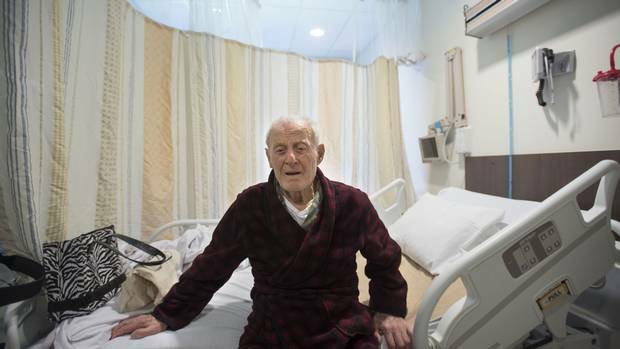 Ontario senior’s hospital feud points to bigger problem of overcrowding A Toronto-area hospital’s efforts to get Ilias Spanidis, 88, discharged included threats to send him to a homeless shelter, his son says. Health reporter Kelly Grant investigates. 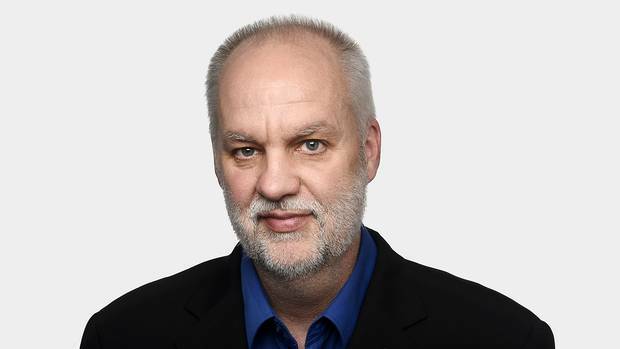 André Picard: Patchwork drug plans flout the foundations of medicare If we believe in equity, why do we continue to cover drugs in a way that is inherently inequitable? How a little-known patent sparked Canada’s opioid crisis Grant Robertson and Karen Howlett tell the untold story of how a single pill ignited one of the biggest pharmaceutical battles in Canadian history. Editor’s note: An earlier version of this story included an incorrect first name for a woman who was treated at a private clinic. She is Mariel Schooff, not Muriel as published. Also the article incorrectly referred to Dr. Jan Venter of the False Creek Healthcare Centre in Vancouver’s total billings to the province for last year. In fact, those billings were for another Dr. Jan Venter and the one from False Creek did not bill the province last year.